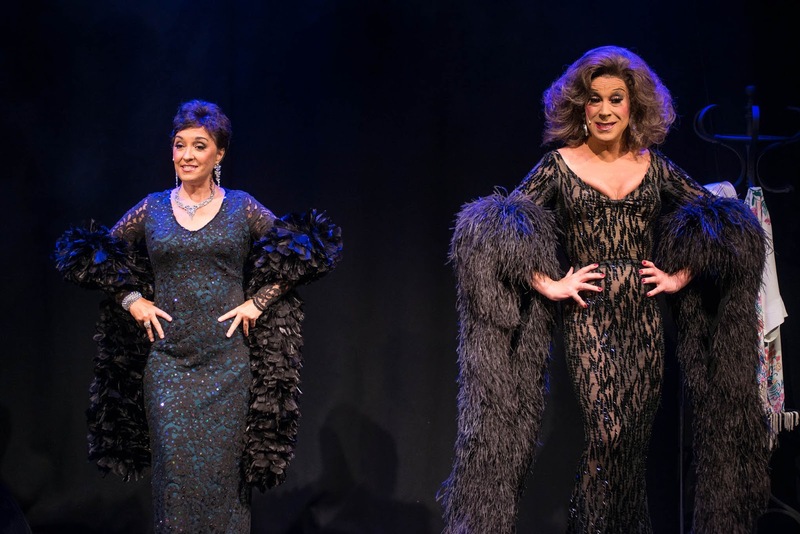 Before launching into a sassy opening routine of Irving Berlin's Sisters, Ria Jones and Ceri Dupree tease their audience with a hint of Gypsy's act one Let Me Entertain You - sung of course originally by that show's child sisters June and Louise. And in that moment these two gifted performers achieve a rare and elusive vanishing point that sees dramatic irony fade into reality. For Dupree and Jones really are siblings, Dupree by a few years being Jones' elder brother. Miss-Leading Ladies is an expertly crafted tribute to the (mainly Broadway) female musical theatre stars of the last century. Amongst many moments of side splitting humour, there can be glimpses of gut wrenching pathos - and it is a tribute to both the performers and their director Sarah-Louise Young that such a whirl through history can be as informative as it is perfectly drilled and delivered. Jones and Dupree know how to work a crowd – and where Jones, a former Eva Peron, Fantine and Grizabella in her time, has a voice that is simply majestic both in its refined elegance and in her astonishing belt that she unleashes from time to time, it is Dupree’s outrageously glamorous drag outfits (I lost count of his wardrobe changes - bravo costume maker James Maciver ) that garner the evening’s biggest laughs. Not just songs and patter, there’s a hint of Music Hall too complete with seaside-postcard style saucy lyrics, along with the occasional spot of encouraged singalong. As Dupree’s ability to rattle off bawdy gags hits a sweet spot, so his mimicry of Broadway’s Grand Dames is sensational. There’s a rictus Bette Davis (or was that Carol Channing? ), Eartha Kitt becomes a prosecco pouring soak (thanks for the unexpected glass of fizz, mind) whilst his Marlene Dietrich, sporting a white fur train that goes on forever, sings Falling In Love again re-written to Lifting My Face Again. And those are just a few of Dupree’s personae. Another one of Ceri Dupree's sensational outfits! Jones plays a straighter bat, her numbers evidencing a love for Ethel Merman, though the welsh diva also gives a sublimely understated nod to Judy Garland with The Man That Got Away. As she mounts the stage clad in black and sporting a crucifix, it only takes a hint of accordion, along with her grip of a 1950’s microphone stand to suggest Piaf. Je Ne Regrette Rien and Hymn To Love duly follow and as Jones scales the latter’s simply enchanted chords, with head bowed and a perfect presence, she captures the essence of the enigmatic chanteuse. To be honest, Miss-Leading Ladies deserves its 5 stars for Dupree’s costumes alone – but more than that - these two singers, blessed with sharing what is clearly the most gifted of gene pools, are just a terrific act. 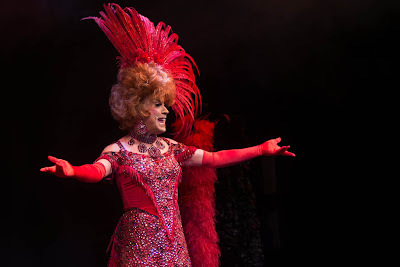 Their penultimate number Rose’s Turn, again from Gypsy, works not just as a nod to Imelda Staunton’s excellence that’s carrying on down the road, but rather gives the song an entirely new interpretation. It is a special moment to witness these talented siblings singing such a withering comment upon a failed parental ego. Edward Court on piano together with Sally Peerless on flute and reeds offer an accompaniment that only matches their singers’ polish and to be fair, Ben Roger's lighting is a bit of a treat too. With both drag and false lashes removed, Dupree joins Jones for a final number of Peter Allen’s Quiet Please, There’s A Lady On Stage whence the St James audience rose as one (and not for the first time that evening either) to salute the pair. Don’t miss Miss-Leading Ladies, it is an evening of outstanding cabaret.